By Deepa Sen . Published on November 22, 2016. An Equinox ad showed model Lydia Hearst breastfeeding while dressed in diamonds and a gown at a formal dining table. "Authenticity" may be the most overused word in advertising. Every client brief and planning deck seems to insist that authenticity is key, especially to millennials. Does that mean that advertisers have gotten out of the business of selling aspirations? Increasingly, clients are telling agencies that advertising must be made more "relatable" by mirroring the consumer's everyday reality. While that's certainly one marketing strategy, it would be lazy to say that's the only way to be authentic. There is a lot of creative richness to be had from exploring authenticity in emotion, attitude and personality -- something female-targeted brands are currently taking the lead on. Perhaps, post-recession, it has become harder to swallow lifestyle dreams that will never be reachable. The dominance of social media has made it harder to airbrush, too. And it's not just millennials who are yearning for authenticity. A presidential candidate perceived to be more "real" than a political veteran was just elected, at least in part because he acknowledged an audience -- their lifestyle and their hardships -- in a way that is underrepresented in popular media. But authenticity has taken a more perceptive turn in female-targeted marketing. Dove may be credited with starting the "real" trend in advertising, with their "Real Beauty" campaign. But a more insightful interpretation of "real" has been driven by feminist writers and comedians in the last few years. Consider performers like Tina Fey, Lena Dunham, Mindy Kaling and Amy Schumer. These women have actively torn down the surface-level beauty and perfection traditionally associated with femininity, and exposed the emotional realities of what it takes to be a successful woman. There's been a direct trickle-down effect of this movement in advertising. Secret is showing the stressful moments that actually make you sweat, instead of a blissfully sweat-free life. The glamorous models in the latest H&M spot are shown checking their teeth for food and applying lipstick in a rearview mirror. In this type of creative work, authenticity goes beyond environment and visuals, and instead represents a realness in confidence and attitude. Authenticity from this angle can allow for more interesting, aspirational, even fantastical situations. A recent viral ad from Kenzo showed a gorgeously dressed young woman escaping a stuffy black-tie event to flail around in a wild dance, eventually shooting laser beams from her fingers. The visuals and the settings are aspirational to the extreme, yet the attitude rings instantly authentic: who hasn't felt the urge to cut loose in a formal setting? Earlier this year, Equinox released a photograph of model Lydia Hearst breastfeeding while dressed in diamonds and a gown at a formal dining table. The ad carried the line, "Commit to Something." There is much truth in the insight that breastfeeding can feel like an act of defiance in public -- the aspirational character and setting only heightens the emotional stakes for the viewer. Authenticity can take many forms in advertising. It doesn't always have to mean mirroring the consumer or losing all sense of aspiration. Authentic brands are those that best tap into the emotional truths of their consumers. This is often a harder task than simply depicting "relatable" scenarios and lifestyles, but when done insightfully, it can create truly breakthrough work that still connects deeply with an audience. 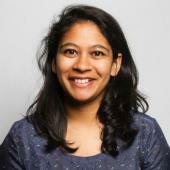 Deepa Sen is strategy director at creative agency Barton F. Graf.